Riser Walking Frame Lightweight And Height Adjustable. 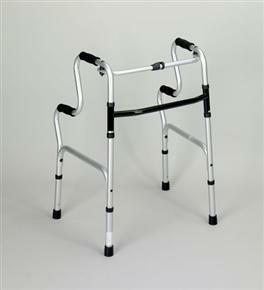 A riser walking frame is one that has been designed to help the user rise from a seated position. This riser zimmer frame is particular value for money, as it is effectively three great products in one! Firstly, the frame can be used as the name suggests - by using the lower handles, users can help themselves up from a seated to a standing position. 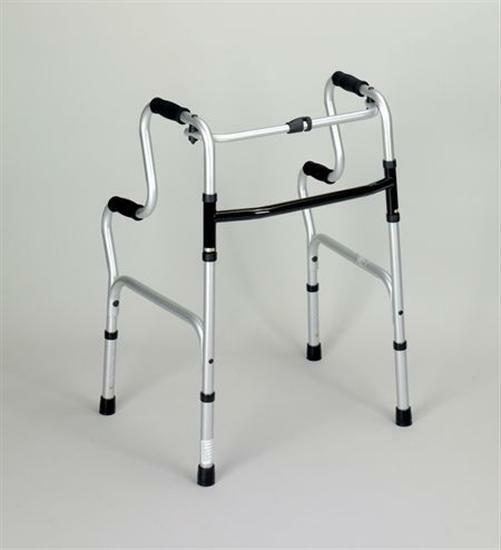 Secondly, by using the upper handles, it can be used as a regular walking frame. And last but not least, the frame can be reversed and used as a toilet surround rail. 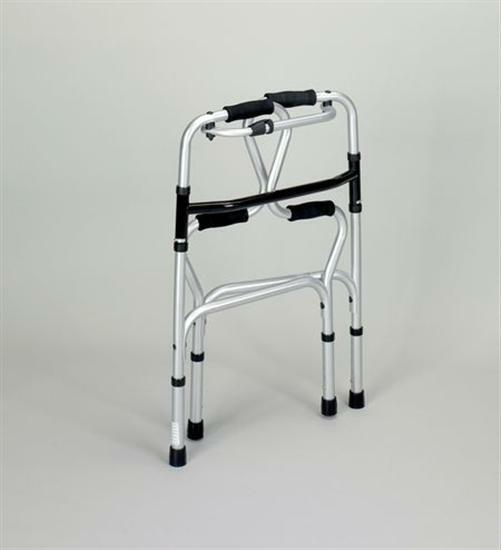 This product is height adjustable so can be made a comfortable fit for all sizes, and its aluminium construction means that it is lightweight yet durable. Strong, lightweight and versatile - my mother can move around the house on her own again.